But how to make a wedding website that would both impress and delight your guests? We assure you, this will be the most exciting part of your wedding preparations. And rewarding too! This article will teach you how to create a free wedding invitation website you’ll be proud of. Why make a wedding website anyway? No need to send a wedding invitation postcard to each guest anymore. Just invite them all to your site and request an RSVP online. Why get in touch with each guest individually to share the details of your celebration? Simply provide all the essential info on the pages of your website and consider the job’s done. Your website can serve you as an online wedding planner. You can use it to schedule and monitor preparation events, coordinate guests, and keep in touch with contractors online. Keeping the audience engaged and excited about the upcoming event is easier with a wedding website. Post great content that tells your love story or share behind-the-scenes details of your preparations to entertain your guests well before the party. They’ll love that! 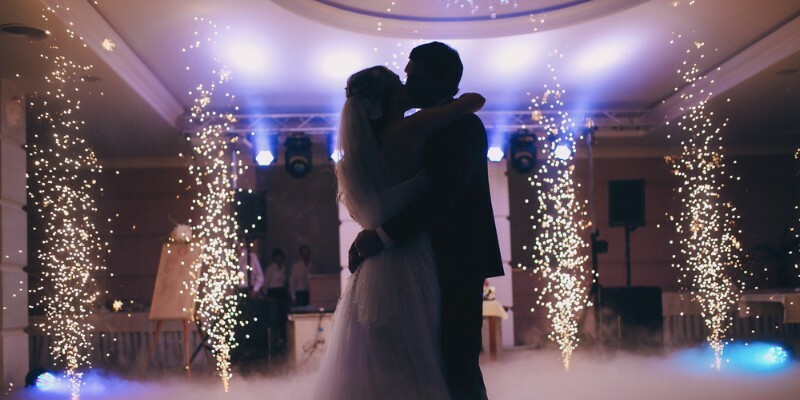 A wedding website will remind you of the Big Day long after the celebration. It is also the best place to keep your wedding photos and videos. No need to store all the media on your PC anymore. Upload them on the server and be sure they are in total safety. A wedding website is not just a fancy digital accessory. It is a powerful tool that allows you to optimize your wedding preparations and keep your guests engaged. But where to make a wedding website and how? How to make a good wedding website? A good wedding website is characterized by two major aspects: beautiful design and functionality. If you are not a professional programmer or web designer, creating such a website is hardly possible. But with modern website building solutions like NING, a wedding website can be easily made by anyone regardless of tech skills. Here are a few simple steps to illustrate how to create a wedding website easily. All internet experiences start with a domain name. This is basically your address on the web. A URL should be both unique and recognizable. So if you’re making a wedding website, you want people to know that this site is meant to celebrate the relationships between you and your best half. Creating a wedding website on NING gives you the benefit of using a free custom domain name. This means you can come up with any URL that strikes your fancy, to represent your wedding (e.g., jamesandlisa.ning.com). Nothing speaks of your feelings better than graphic visuals. Designing your wedding website can be a great way to put your creativity to practice. How do you envision this special day and what images do you picture when you think of it? You can capture it all in your website design. Choose a design template you like most and use it as a foundation. Customize the template to make your website one of a kind. Set your own fonts, images, and backgrounds, configure a header, footer, navigation menu, buttons, etc. Use the best photos of you two to make the website unique and recognizable. If you have chosen a specific theme for your wedding, design your website in the same style. Playing around with various customization options is a fun and rewarding process. Create a landing page that would be the face of your wedding site. Use drag-and-drop tools to add custom elements and edit various visual parameters. A landing page is an optional addition to your website, but imagine what a great impression it would make on your friends and relatives! Any website consists of pages, and your wedding site is not an exception. Look at it as if it was an invitation postcard that could tell your entire love story. What would you like to say to those invited, what secrets would you share with them? Every single page of your wedding website should open a small window into your relationships. And of course, you should dedicate a couple of pages to your guests, providing them with all the information related to the celebration. Create a captivating homepage with vivid welcoming images (or perhaps a photo of you two) and an eloquent announcement of your wedding; don’t forget to mention the date and place – for example, in the header or footer where the information will remain in sight all the time. Make an “Our Story” page and tell how you met each other, what special moments you shared together, how your lives changed in the relationship. Your guests would love to know a couple of intimate details. Start a blog a few weeks prior to the Big Day; you can write daily blog posts describing how the preparations are going and what exactly your guests can expect from the upcoming celebration. How to create a wedding blog? It’s easy if your website is built on NING and has an integrated Blog feature. Create a photo gallery. Photos can actually be a centerpiece of your wedding site. Upload a bunch of quality images where you and your best half are having the best time of your lives or share the photos made in a studio. Create a video gallery. Your guests will definitely appreciate it, especially after the celebration, when you upload all the videos from the party. Add an information page to provide your guests with all the details they need. Once again, specify the time of planned events and their location. Mark the places of interest on Google Maps and embed it in the page. If there are any additional remarks or requests you have to make, mention them here as well. Create an Event. This is yet another way to invite people to your wedding and find out who exactly will show up. With the Events feature by NING, you can set up events, mark them in Google Calendar, invite people via email, and request an RSVP. Make a contact page. Some of your guests will surely want to get in touch with you. Make yourself available by providing your contact details on a dedicated page. Wedding preparations are the time when you want to stay connected not only with your friends, relatives, and loved ones but also people who help you organize the event. The online communication can greatly increase the efficiency of wedding arrangements and make the whole process more fluid. When your wedding website is created with NING, you are actually in power to turn your site into a comprehensive social network where your wedding is in the spotlight. You can exchange private messages with your network members, send out group messages, broadcast messages to the entire network, send out bulk emails, and even talk on Live Chat. Thus, getting in touch with your guests and contractors is easier than ever before. As a young couple, you’ll need funds to get your family rolling. Imagine how many of your friends and relatives want to help you start your new life together. Offer them an opportunity to support your family and make you a wedding gift! NING lets you accept gifts the easiest way possible. Thanks to the Donations feature, your friends and relatives can send you money you can later spend on your honeymoon or other useful things you’ll need in your married life. It’s time to make the best free personal wedding website! Your wedding is your special day. Make it even more special by creating a wedding website that would help you go through the preparations and remind you of the Big Day for years and years. Being a professional website builder, NING provides you with the tools needed to follow the tips offered in this article. And there are more opportunities to explore!